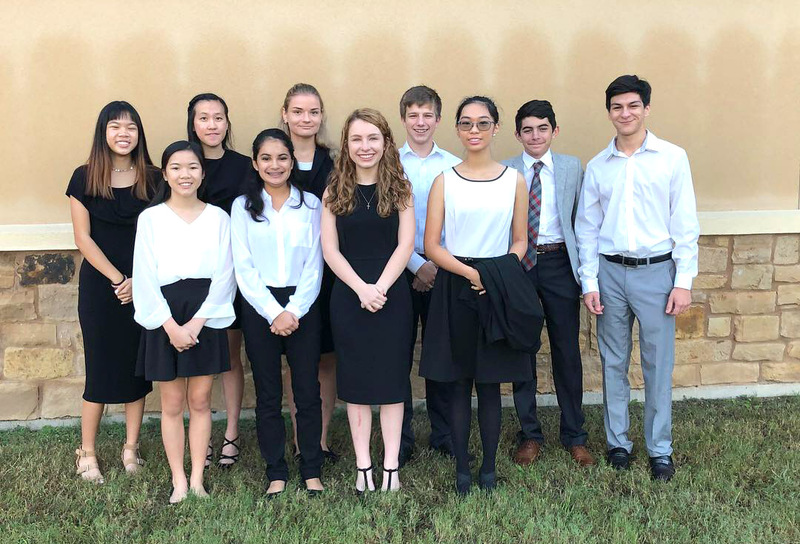 The Savio Speech Team traveled to Temple on Saturday, October 27th to compete in the first tournament of the year. The 14th Annual Trinity Classic was held at Holy Trinity Catholic High School. 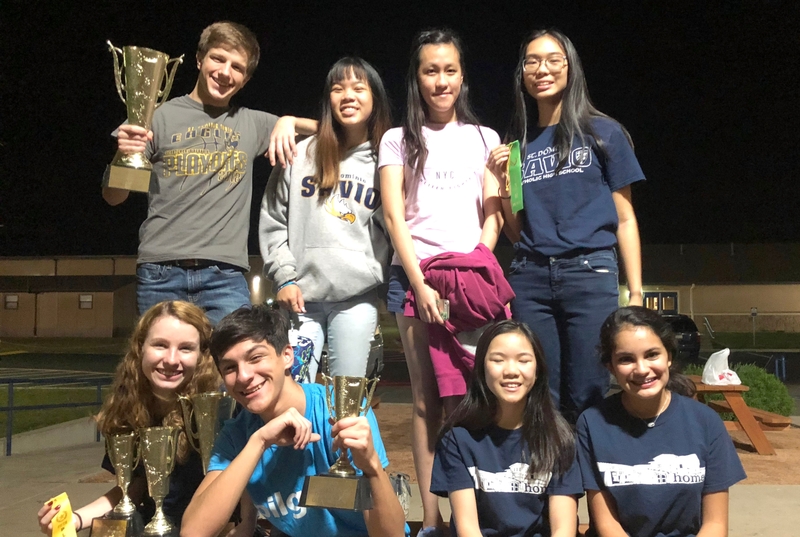 Savio competed against twelve local high schools. Eight students were semifinalists and four students placed in five different events. The students had a great learning experience and had fun bonding as a team. It was a fantastic way to begin the year. 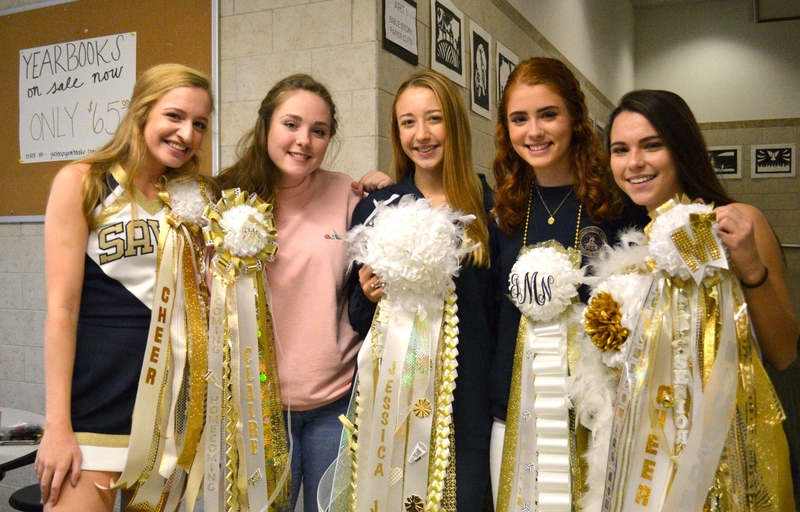 Fall Sports Senior Celebration has been scheduled for Friday, October 26, at the Westwood High School field (12400 Mellow Meadow Dr, Austin, TX 78750). 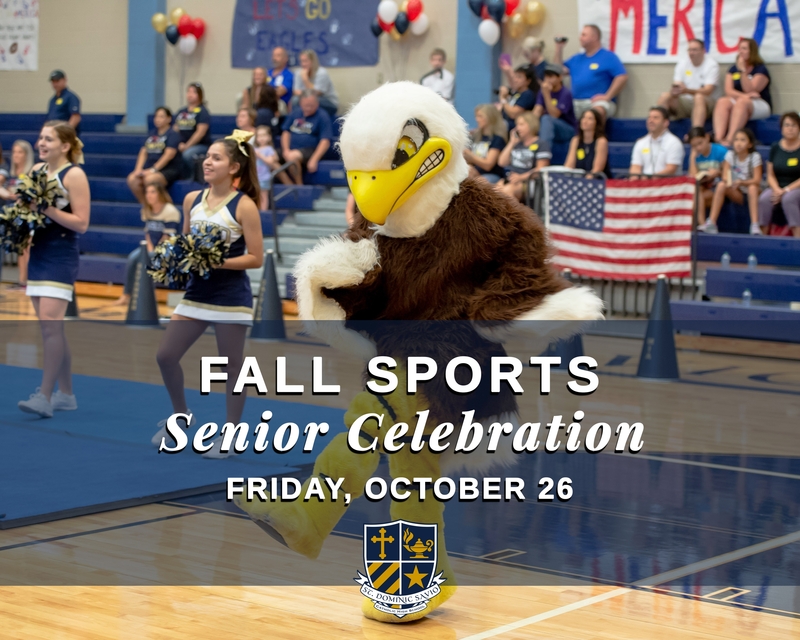 The celebration will be an evening filled with Savio Spirit! All Seniors and Senior families we hope you will join us to celebrate this event. 5:00 PM -- The Tailgate willl begin with FREE Hot Dogs and Hamburgers in the Westwood High School field parking lot (Mr. Goertz will be grilling!). 6:00 PM – The First Half of the Football Players v. Faculty/Staff Flag Football Game will begin. 6:20 PM -- At Half-Time: Join us as we celebrate our Seniors in Cheer, Cross Country, Football, and Pep Band. Bring your cell phone fully charged for a Cellphone Serenade. 6:50 PM -- The 2nd Half of the Football Players v. Faculty/Staff Flag Football Game will resume (assuming the teachers and staff can still move). 7:10 PM -- The Cellphone Serenade will begin. Turn on your cellphone light as the Eagle Pep Band plays our Alma Mater to conclude the celebration. And there you have it, Eagles, Our Fall Sports Senior Celebration! Join us at the Westwood High School field starting at 5:00 pm! If you have any questions, please contact the Main Office at 512-388-8846. EVERY day is a GREAT day to be an Eagle! Please note the Future Savio Eagle Night has been rescheduled. The event will be released by Mrs. Bologna, the Director of Admission, very soon! 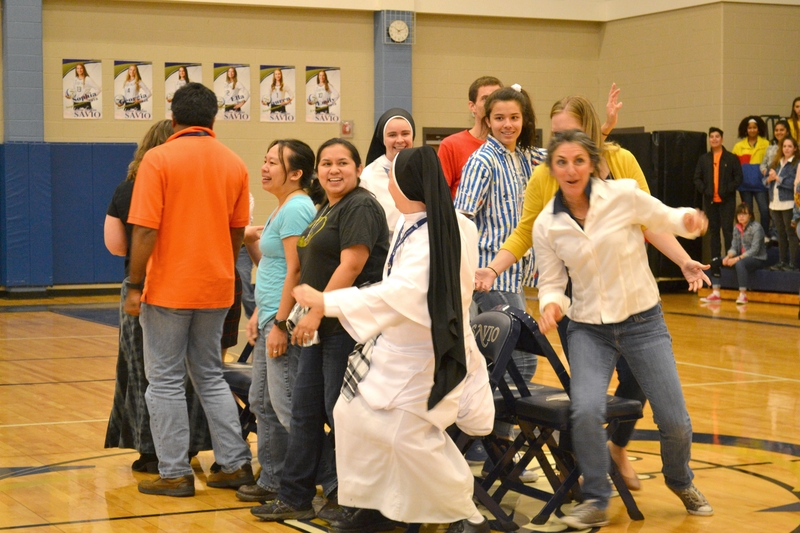 St. Dominic Savio Catholic High School is located in northwest Austin, Texas, in an active and thriving community. 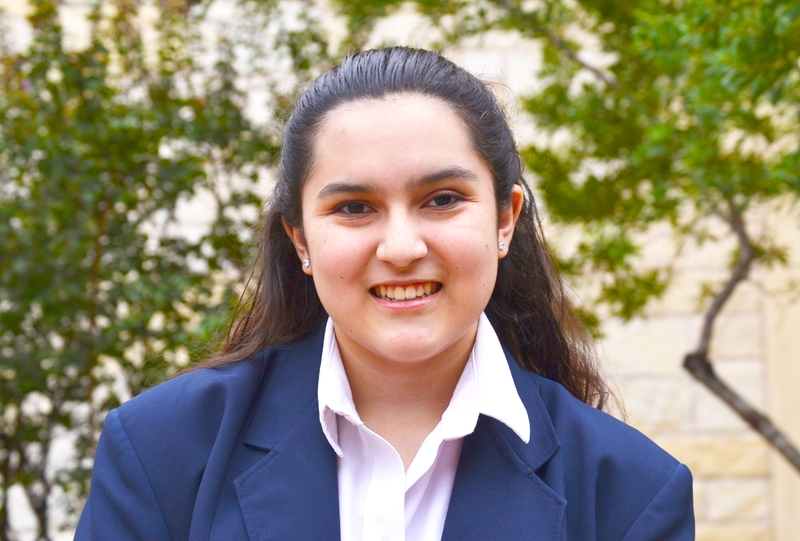 Savio is a college preparatory school, to prepare young men and women to become faith-filled, visionary and inspirational leaders in service to the Church and the world. St. Dominic Savio offers a faith experience that encourages students to reach their full potential as caring, conscientious, and moral servant leaders. The vision is "Forming Servant Leaders in the Image of Christ." For any questions, please contact the Director of Communications, Mrs. Cristina Almanza by email: calmanza@saviochs.org. 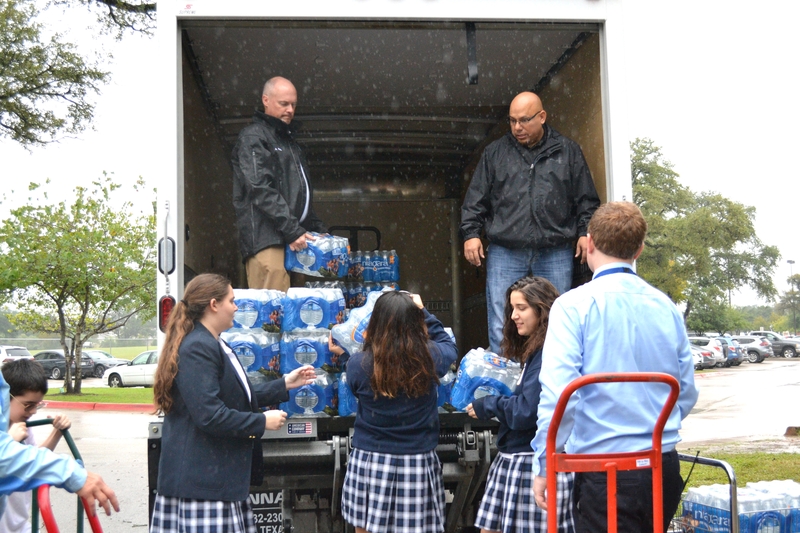 Today, 1 1/2 palettes of water bottles arrived to the Savio campus to have a surplus of available drinking water, during the City of Austin's Boil notice. 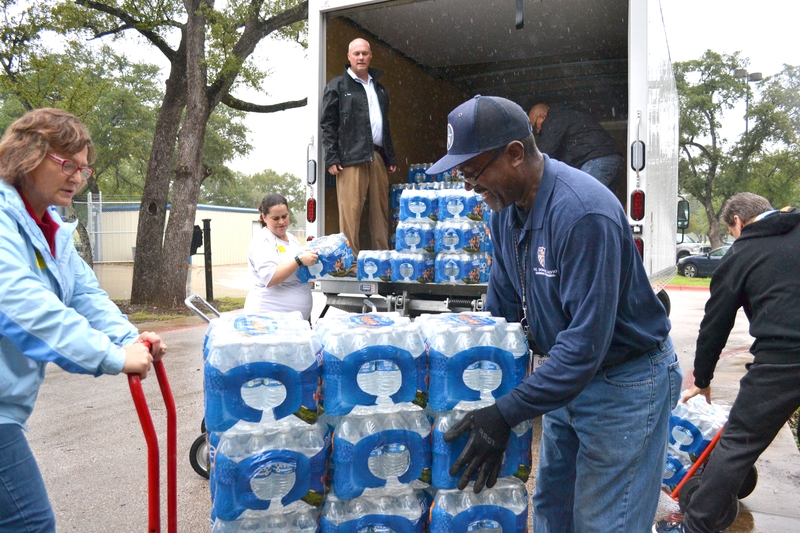 The boil notice could be in effect anywhere from 10-14 days total, so the City’s Office of the Federal Emergency Management Agency (FEMA) has been working with schools to provide bottles of water. Together, parents, students and school staff unloaded several (about 232!) cases of water to each classroom today. 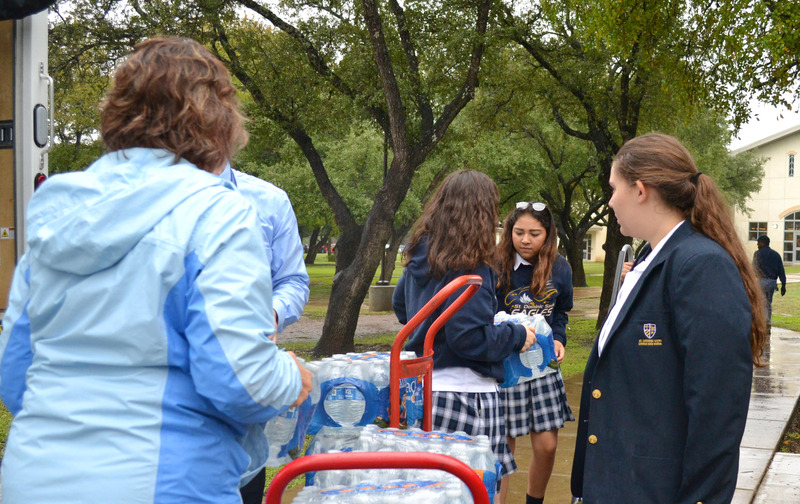 Students are welcome to use the bottles to refill their personal water bottles as needed. 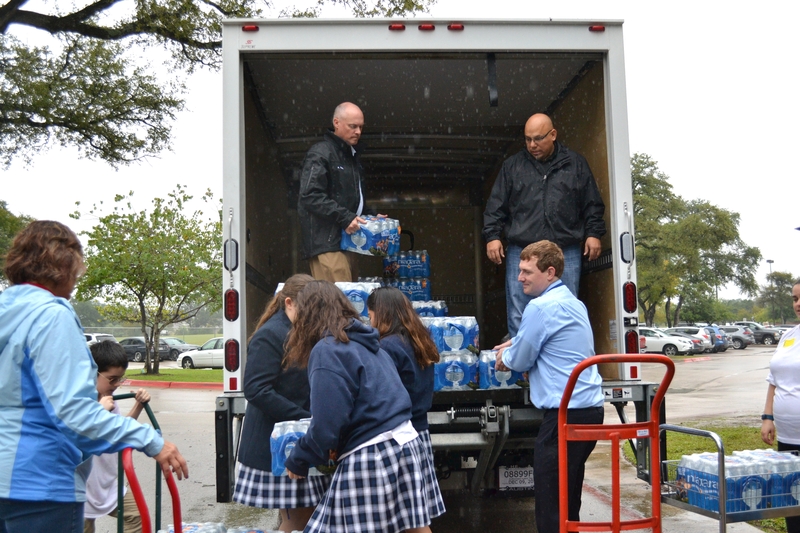 We’re expecting more water to arrive over the next five days, than will be consumed on campus. This weekend, Gabrielle Muñiz accepted the Northrop Grumman Community Award in Minnesota. The award was a national competition for freshman and sophomores in high school, and only 25 participants were selected. Those selected were requested to present their solution at the Minneapolis EXPO for women engineers over the weekend. Muñiz was the only receiptent from Texas to earn the award. The award was created for the purpose of encouraging young women to use STEM (Science, Technology, Engineering and Mathematics) to help solve real world problems. In order to receive one of the awards, participants were required to put themselves in the shoes of an engineer. Muñiz had to come up with a solution that would stop Asian Carp from progressing further up the Mississippi River and into Minnesota’s other waterways in a way that would allow the Upper St. Anthony Lock to be reopened. Additionally, her efforts may have found a solution to alleviate the cargo shipment traffic on Minneapolis roadways caused by the lock closure. As for the project, Muñiz found an eco-friendly solution that consisted of sonar emissions as well as magnetizing electrified water, which will not pollute the water or poison the carp. In the first stage, when shipping boats approach the Lock, sonar sounds would be emitted to disrupt and alternate the path of the carp. The second phase consists of positioning magnets within the three sections of the St. Anthony Lock. The large magnet bars would be used to propel the carp just outside of the first section of the Lock. By strategically placing magnet bars, patches will magnetize electrified water in the second section of the Lock. The magnets will propel the water and push the carp into a selected area, safely away from the Lock. We congratulate the all of her efforts needed to earn this recognition! 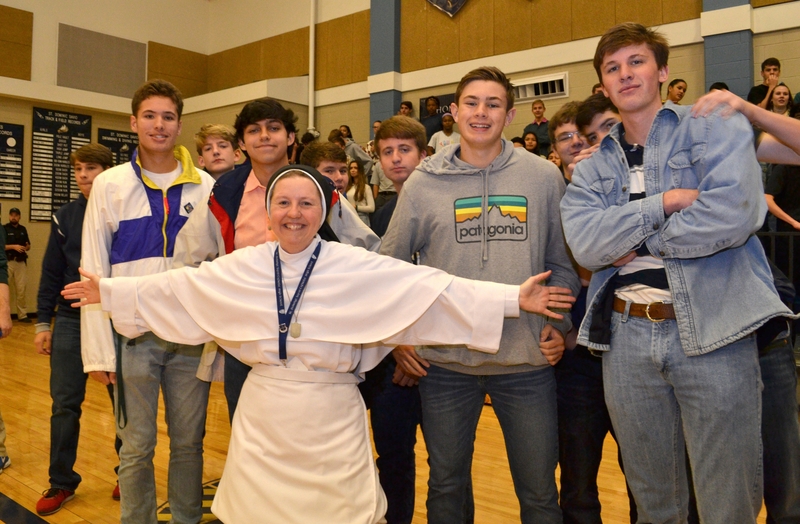 St. Dominic Savio Catholic High School is located in northwest Austin, Texas, in an active and thriving community. 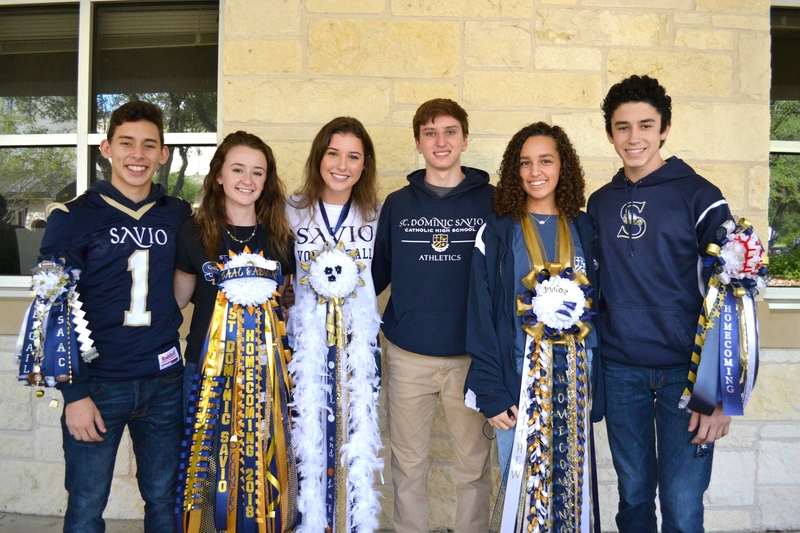 Savio is a college preparatory school, to prepare young men and women to become faith-filled, visionary and inspirational leaders in service to the Church and the world. St. Dominic Savio offers a faith experience that encourages students to reach their full potential as caring, conscientious, and moral servant leaders. The vision is "Forming Servant Leaders in the Image of Christ." For any questions please contact the Director of Communications, Mrs. Cristina Almanza, by email calmanza@saviochs.org. 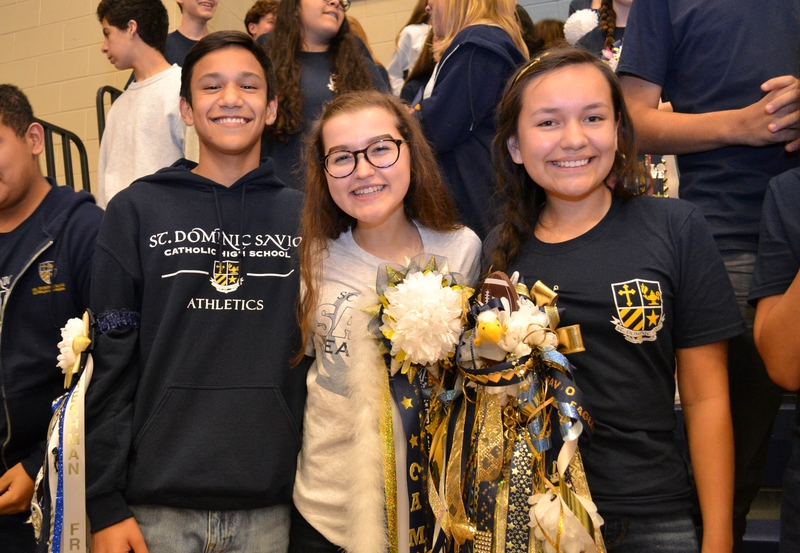 Homecoming was a week long celebration at St. Dominic Savio, Monday, September 24 - Friday, September 28. 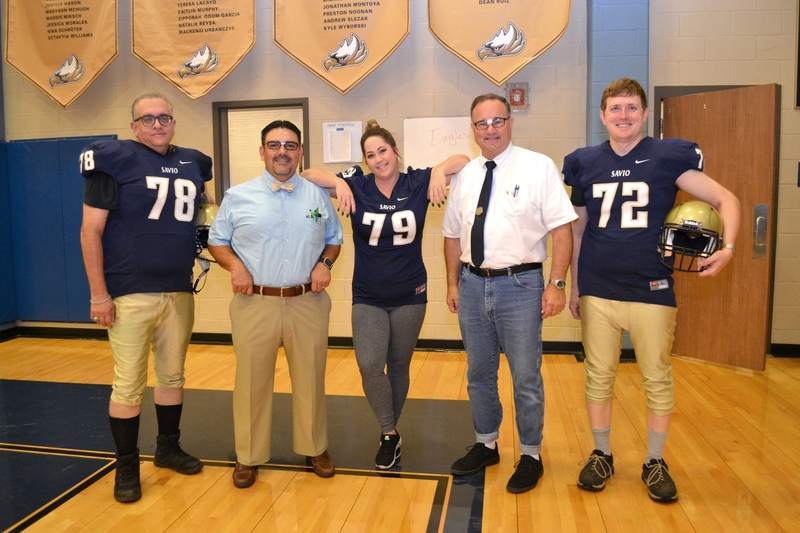 Each day had a theme that the students and staff could participate in to encourage school spirit and enthusiasm in support of our student activities that week. On American Monday, students and staff were permitted to dress up in their favorite patriotic gear! 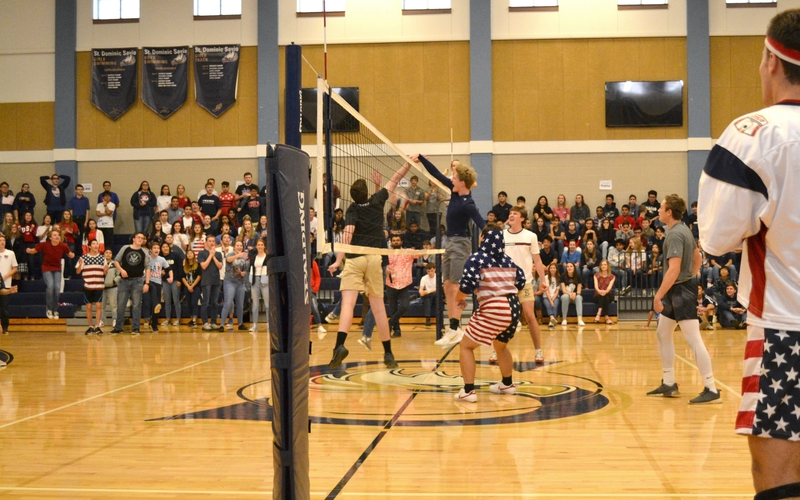 The senior students were able to participate in a game of Volleyball representing their House team. On Jocks vs. Nerds Tuesday, Seniors and Juniors dressed as jocks, and Sophomores and Freshman dressed as nerds. 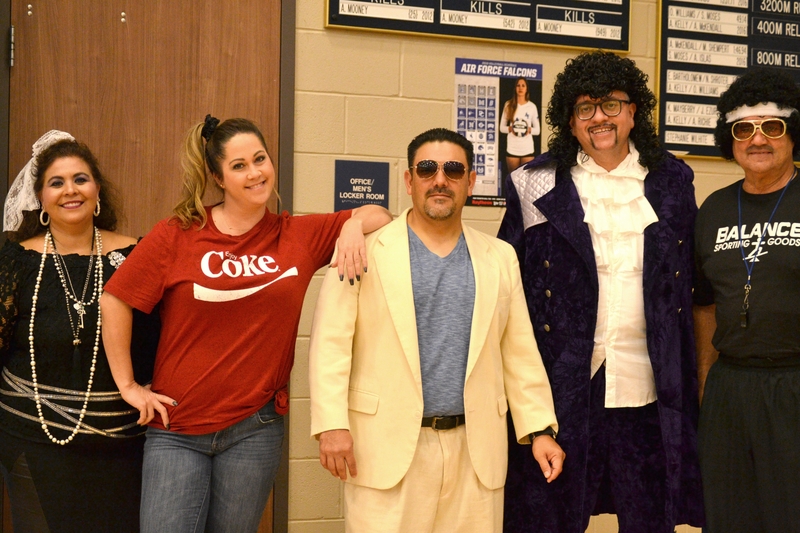 Faculty and staff could choose any of the themes that day. On Worship Wednesday, everyone was required to be in Mass Day Uniforms. 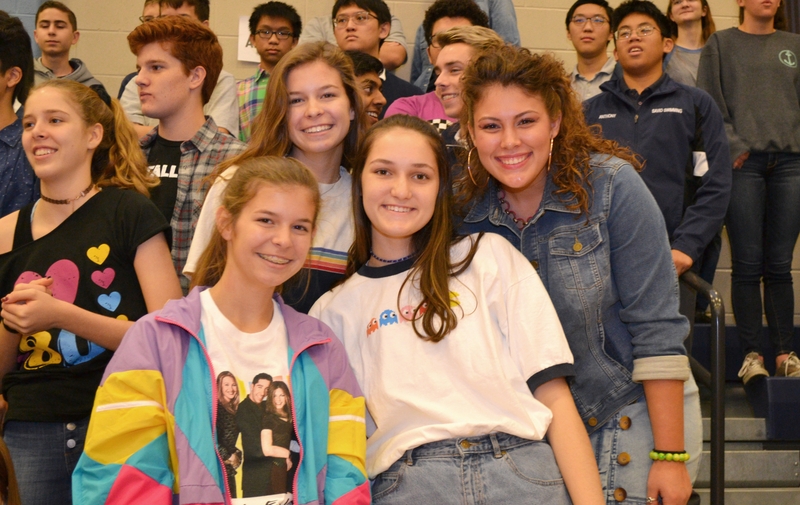 On Throwback Thursday, everyone was permitted to wear an outfit straight from the 80's and 90's. Leg warmers, shoulder-paded dresses, rocker hair and preppy clothes were encouraged. 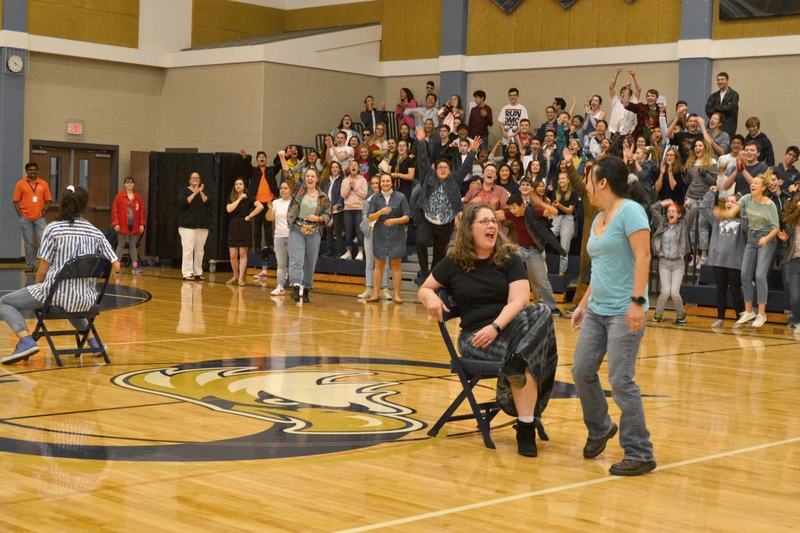 Faculty and staff participated in a nail-biting round of musical chairs. Each staff member represented their house. 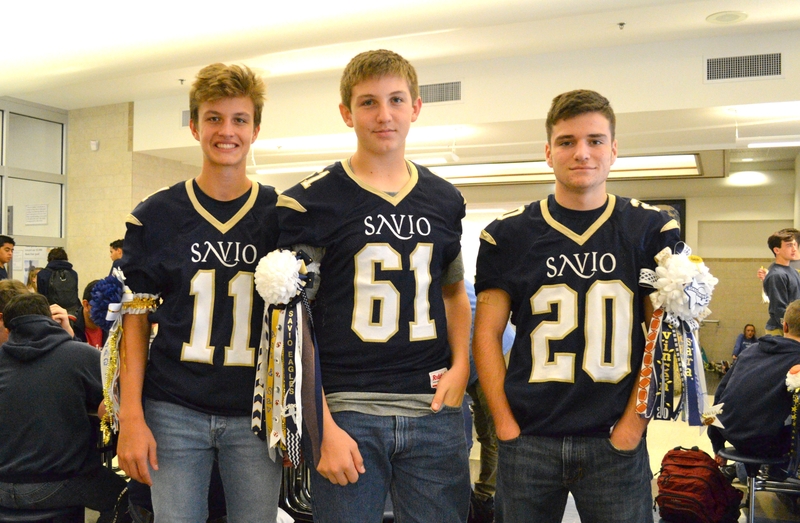 On Eagle Spirit Friday, everyone could show their Savio spirit by wearing their Homecoming t-shirts or Savio spirit t-shirt and jeans! All were invited to wear their mums and garters. On October 4th, Class of 2014 Alumna, Abigail Miksch surpassed 1000 Career Kills while playing on the Air Force Academy Falcons Volleyball team. Miksch is in her 4th year serving as a cadet and playing volleyball at the Air Force Academy in Colorado Springs, CO. A kill in volleyball by definition is an attack by a player that is not returnable by the receiving player on the opposing team. This often leads to a direct point to the team initiating the kill. Last school year, Miksch was ranked in the top 10 in the Mountain West Conference for her number of kills and points per set. She also led a squadron as a commander this summer. Congratulations to Abigail Miksch on this accomplishment! Read More about the Air Force Falcons Volleyball Team. Second TACRO College Fair, A Success! 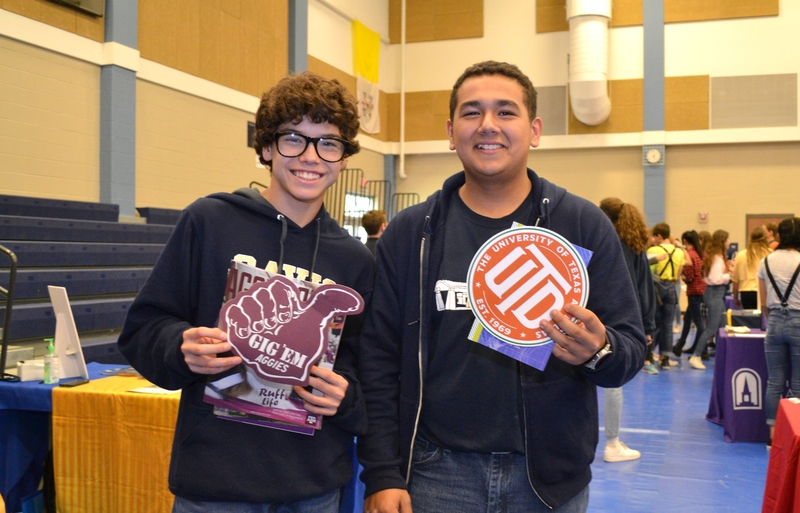 St. Dominic Savio hosted the second annual TACRO college fair on Tuesday, September 25th from 1:00-3:00 pm. 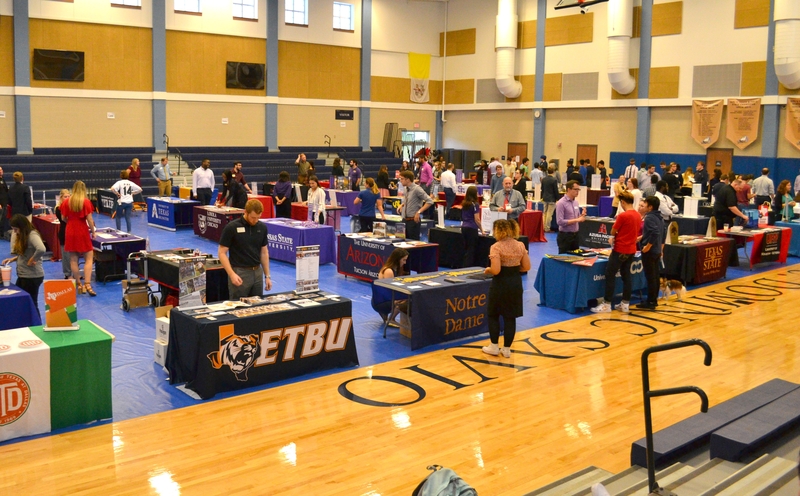 All Savio students attended the fair and had the opportunity to speak to over 60 colleges and universities from across Texas and all over the United States. Of the 60 colleges and universities, there were private colleges, public colleges, large and small institutions present. 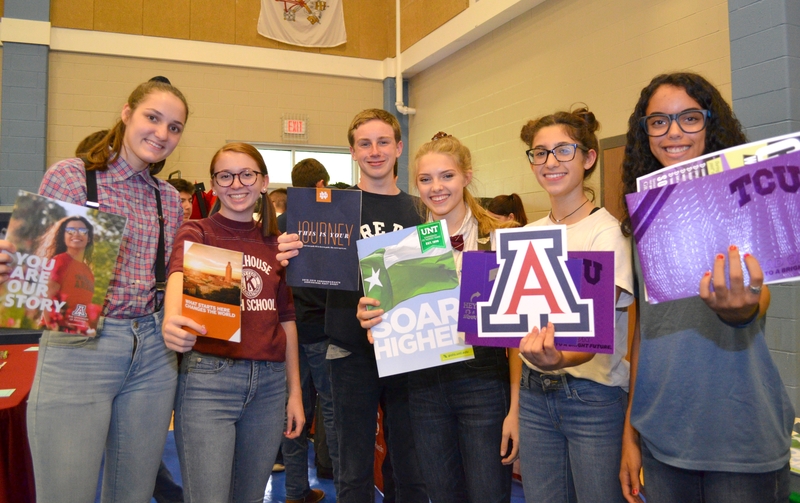 A mix were in-state and out-of state schools for students to meet with a representative and learn more about the institution. This event is an open opportunity to allow students to consider many more options as they go through the College advising process. 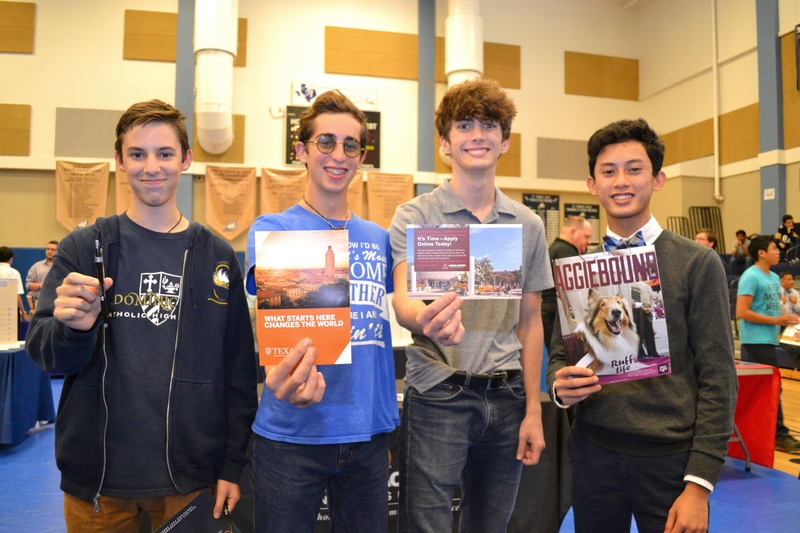 "The goal is to expose students to a variety of different types of schools, as well as give students an opportunity to meet with the college representatives,. Here, they can ask questions about everything related to college, such as different majors, scholarships, special services, and life on campus." said Savio College Advisor, Mrs. Marina Glava. 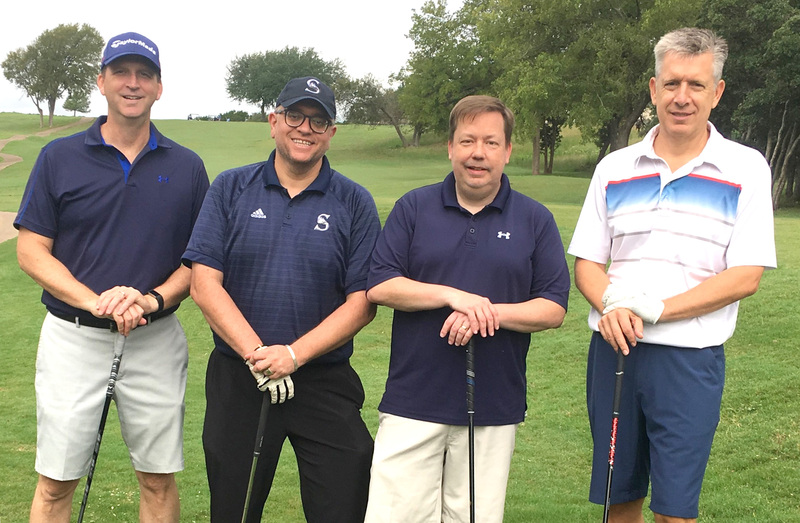 The Savio Eagle Classic Golf Tournament was held on Monday, September 24 at the Crystal Falls Golf Course in Leander. 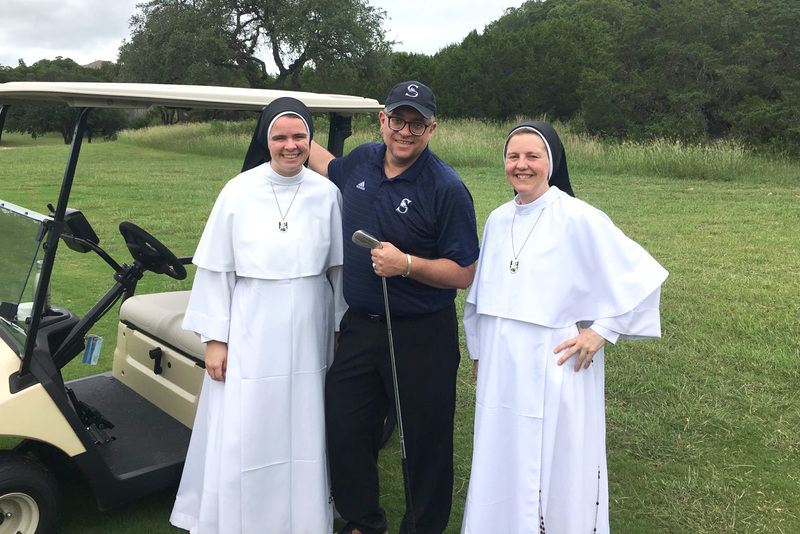 The tournament was hosted by the Savio Booster Club as their largest fundraiser in support of Eagle Athletics. Sixteen teams competed in this year's event and raised in excess of $10,000 for Savio Athletics. First place in the tournament went to Savio Head Baseball Coach Bryan Edwards and his team. Thank you to all of the Golf Tournament sponsors this year! 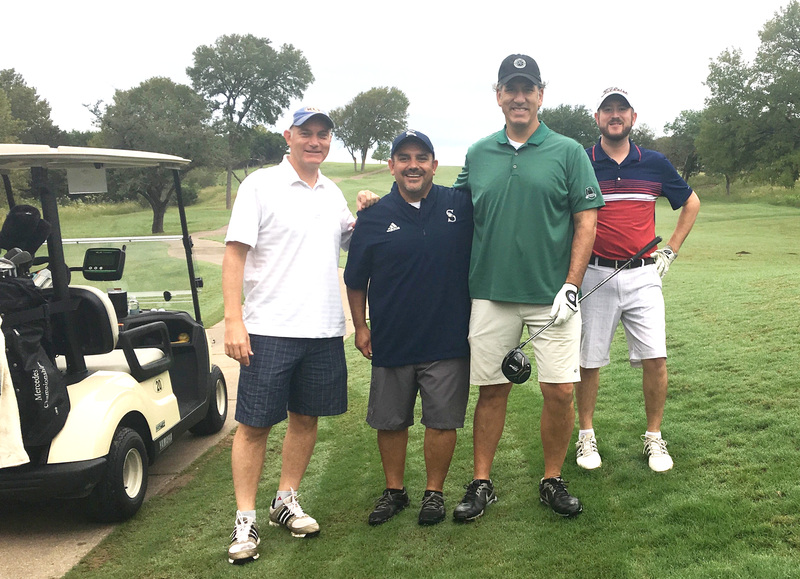 Hole Sponsors: Humberto Friede, Texas Roadhouse, Keystone Concrete, Texas Retailers Association, Andrew Tull and David and Susan Tull. 4/11/19 - By Trinity Garcia, a Junior student in Christian Outreach. Blood Drive is a Success!